Betting on chess - check below for the best 5 betting websites. Take advantage of their bonuses and betting offering on Chess. Chess is one of the oldest table game in the world. It is estimated that was invented during the 5th century, it is a variation of a game that was called Chaturanga in India. That same Indian game is a variation of another, one that comes from Chinese called Xiangqi. It is a board game for 2, requires strategy and intelligence. The chess match that lasted more in history was 20 hours and minutes, with a total of 269 movements. A professional chess player can earn up to $ 250,000 a year. The highest title a chess player can get is the "Grandmaster" is a title that requires 2500 points (Elo Rating). 1000+ grandmasters currently exist in the world. The best chess players in the world today are: Magnus Carlsen, Vishy Anand, Fabiano Caruana, Veselin Topalov, Levon Aronian, Alexander Grischuk, Kramnik, Anish Giri, Sergey Karjakin, Hikaru Nakamura, Gelfand, and Wesley So. World Championships are the most prestigious competitions and therefore with the highest paying prize. Betting in chess is directed mostly at big events: World Championships or Invitational events where grandmasters have a seat. The bookmakers do not offer odds for all chess matches, usually they carefully choose the matches that will be offered for punters. You can not bet all year in chess, the bookmakers will offer few events only. Favorite players always have the upper hand to win major tournaments. It is best to wait for the big tournaments, in these championships the best chess players in the world participate. No need to wait until the end of the championship, you can bet in stages as it as in other sports. The best tournaments in the world of chess are: Chess World Cup (every 2 years), European Individual Chess Championship, Chess Olympiad, Invitationals, among others. Most of these tournaments will be available at bookmakers, especially the Chess World Cup. For a chance to win a bet on chess a lot of research is needed. Find out everything possible about chess player, statistics are available online. Handicaps or point advantage given to a chess players are one way to bet. Each chess player has a way of playing, some are more aggressive and others like to vary their methods. Wait for it: wait for major tournaments during the year. 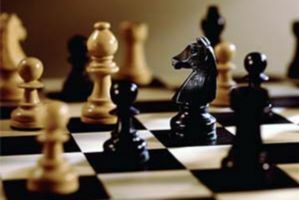 Chess is not like any other event, in many parts of the world there are tournaments but will not be available for betting. Each year there are two or three good betting options, the most important championships are those with the best odds. Every chess lover knows it's a game of patience, and so must be betting with this table game.